Although only .04 percent of energy in the United States is generated from renewable solar energy sources, the use of solar energy to power residential homes is steadily growing in popularity. Through the use of solar energy, homeowners are able to reduce the average cost of the energy used in their home which is measured by kilowatt hours. This measurement of average cost of energy is known as levelized cost of electricity, or LCOE, and includes the cost of installation which is averaged over the life of the system. This average remains constant over time while other unsustainable sources of energy will increase in cost due to inflation. When you make the decision to switch to solar power as your main source of energy for your home, you can expect the monthly cost of your utilities to decrease. Experts estimate most homeowners will experience a savings of approximately $44,256 over the 25 year life of their solar system. Additionally, solar systems add enough value to the home that most homeowners will recoup up to 97 percent of their initial installation expenses if they choose to sell their home. The choice to install a solar energy system for your home is no small decision. There are many things to consider before beginning to process, including how you will finance your system, choosing the equipment you will have installed at your home, selecting the right installer, and maintaining your solar energy system. Continue reading to learn more about the most important factors to consider before installing a solar energy system for your home. Once you have made the decision to install a solar energy system for your home, the first thing to consider is how you will pay for the system. While the cost of a solar energy system varies based on brand and location, the average gross cost of a home solar system is right around $20,000. For many homeowners, this is a big initial cost but there are many strategies for financing to consider. Continue reading to learn more about the different ways you can finance your home solar energy system. There are two primary methods for paying for a home solar energy system—you can either buy or lease. Both options are equally popular among homeowners, and each has their own benefits and setbacks to consider. When you choose to buy a solar energy system, the main setbacks include the requirement of an initial down payment at the time of installation and being solely responsible for the maintenance and care of your solar energy system. However, the benefits of buying a system include the ability to qualify for federal and state tax credits and an increased financial return in the long term once the system is paid for in full. 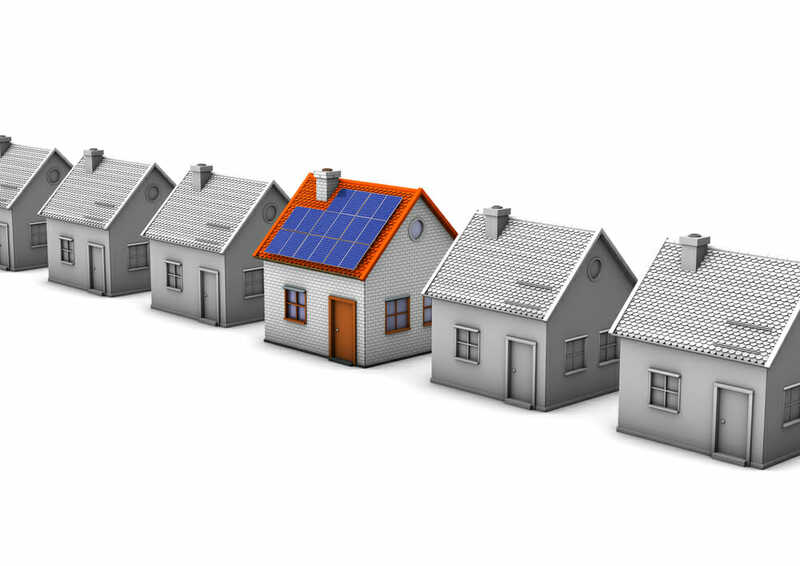 When you choose to lease a solar energy system, the main setbacks include not qualifying for federal or state tax credits and the possibility of your lease payment increasing over time. However, the benefits of buying a system include not being required to place a down payment at the time of installation and the leasing company being responsible for the cost of maintenance and care of the system. If you have chosen to buy your home solar system instead of leasing, the next thing to consider is how you will pay for you system. If you have the money to pay for the system upfront, this may not be a concern for you. However, we have found most homeowners cannot afford to spend $20,000 or more without the assistance a loan can provide. There are many solar loans available in each state, some which require no down payment. Depending on the length of your loan and interest rates, you may be able to find a monthly payment which is lower than your current monthly utility expenses. There are many ways to secure a solar loan, which are now being offered by many independent solar companies, banks and credit unions, utility companies, and privately loans which have been backed by local government municipalities. Before choosing a solar loan, carefully consider the interest rate, monthly payments, and whether the total amount paid within the first year will allow you to qualify for a federal and state tax credits. In some cases, it may be better to pay a large down payment and larger monthly payments in order to guarantee you still qualify for all available rebates and tax credits. Once you have purchased your home solar energy system, don’t forget to take advantage of all available savings through rebates and tax credits. The current federal credit is 30 percent, and many states are offering an additional percentage to solar energy system purchasers. Additionally, the company you have selected may offer a solar rebate which could be as much as $2000. There are four main components of each home solar energy system—solar panels, inverters, racking and mounting systems, and performance monitoring systems. When you make your purchase, you will need to select the best options for your energy system based on cost and quality of the product. Continue reading to learn more about each component, and the options available to homeowners. Solar panels are the most recognizable components of a solar energy system. These panels are made up of cells, which are able to collect the energy available from sunlight and produce electrons from the energy they have absorbed. There are two options to choose from when it comes to solar panels, poly-crystalline solar panels and mono-crystalline solar panels. Poly-crystalline solar panels are the most commonly purchased solar panels, simply because they are typically the most affordable option. In general, poly-crystalline solar panels are considered to be the less efficient option because mono-crystalline solar panels are produced from higher quality silicone. In most cases, however, the difference in efficiency between the two types of solar panels is not enough to warrant going with the more expensive choice, but each homeowner should carefully consider their unique circumstances before choosing between the two solar panel options. After your solar panels have collected the energy from the sun and transformed it into direct electricity, the electricity is passed through a solar inverter. Inverters are responsible for changing the direct electricity into an alternating current, which is the type of current used by most homes. The three main types of inverters are centralized or string inverters, microinverters, and power optimizers. Centralized or string inverters are used to connect all of the panels on the roof of your home to your electric panel. These are typically the most affordable inverters to purchase, but because they connect all of your panels together, they can become inefficient if one of your panels is not producing energy. Typically, microinverters cost more, simply because they are attached to each individual panel. This configuration makes them the more efficient choice, since they maximize the energy produced by each panel, remaining unaffected if one panel in the system is shaded or not producing energy. The last inverter choice is a power optimizer, which also connects to each individual solar panel. Unlike a microinverter, the power optimizer doesn’t convert the electricity, it simply maximizes it before sending it to a string inverter. These inverters work best if a single panel may become shaded at certain times of the day, since it can maximize the amount of energy produced by each individual panel. A mounting system is simply the method for installing your panels. The two main options are a fixed mount and a track mount. A fixed mount is the most affordable upfront cost for installing your panels and the only option if you wish to have your panels installed on the roof of your home. A track mount costs more upfront, but allows the panels to adjust throughout the day based on the the location of the sun. This could increase the efficiency of your system by as much as 30 percent, but since a track mount only works for panels located on the ground, they may not work for all situations. The last component of your solar energy system is a performance monitoring system, which collects information on the energy production of your system and reports it back via an in-home or remote monitoring system. While these systems frequently require an additional upfront expense, they are believed to save homeowners more money in the long run since they report inefficiencies and problems with the system long before they significantly affect their energy savings. Homeowners can choose from an in-home monitoring system, which is actually located in your home, or a remote monitoring system, which can be accessed online or via a mobile device. Once you have settled on the equipment you would like to purchase, you will need to select a company to install the equipment in your home. In general, there is a lot to consider before making a decision including their past performance and the specific operational procedures they follow for their business. As with most home services, the best place to start may be with online or word of mouth referrals. The best indication of the quality of the work a contractor will perform is their past performance in your area. If you personally know homeowners who have had a solar energy system installed, begin by asking about their experience. Next, take advantage of the many valuable resources online including review websites such as Google reviews, which allow you to see how your chosen contractor is stacking up against their competition. Once you have a found a couple of contractors in your area who have a reputation for providing high quality work, you will want to ask a few specific questions about their operational procedures before signing an agreement. First, make sure they can provide accurate written estimate and contract. This will help you avoid any surprises concerning your cost, length of time the install will take, and the guarantees attached to their installation. Second, make sure they have the proper insurance and permits to install solar equipment in your area. Third, find out if they can offer financing or leasing options which meet your specific needs. Lastly, find out if they offer a guarantee or warranty with their work, and make sure they provide it in writing. Once your home solar energy system is installed, there are a four steps which must be taken before you can officially make the switch to relying on solar energy for your home. 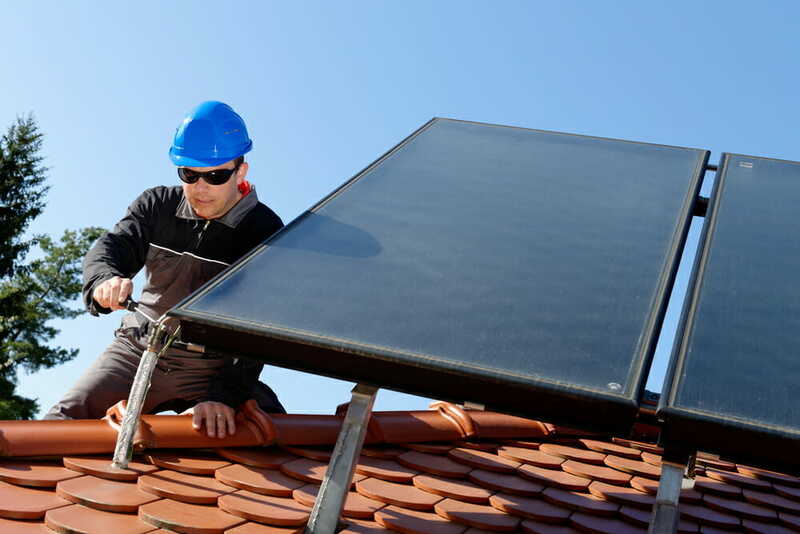 In order to use your home solar energy system, you will need to have the proper insurance coverage, enter into an interconnection agreement, enter into a net-monitoring agreement, and get a utility inspection sign off. Fortunately, finding the right insurance coverage for your home is a fairly easy task. In most cases, your homeowner’s insurance can adjust your coverage to include your solar energy system. If for some reason they cannot, your installer can help you find proper insurance cover. In order to use your solar energy system, you will first need to your local utility grid. This can only be done if you enter into an interconnection agreement with your utility company. Typically, these agreements outline requirements put in place by both federal and state authorities and include your agreement to obtain the proper permits and insurance and to keep your system in safe, working condition. Additionally, this agreements outlines your local utilities company’s obligation to you when it comes to their management of the excess solar energy to sell which may be produced by your system. Fortunately, most utility companies are experts on interconnection agreements and will do most of the work for you. The second agreement is not required of homeowners, but it is very helpful for operating your system in the most cost effective manner. A net-monitoring agreement specifically outlines how much the utility company will pay you when your system generates more energy than your household can use, and how that will affect your expenses if there are times you have to rely on conventional energy sources if your system is not producing enough energy for your home. The last thing you will need before turning on your solar energy system is a utility inspection sign off. A local permitting agency will need to inspect your property and sign off on the appropriate permits, which may vary from state to state. Copies of these permits will also be requirement by most rebate programs. Once your home solar energy system is purchased and installed, you have worked out the details with your local utility provider, and started to use your system as your home’s main source of energy, your work is not complete. In order to maintain the value of your system and ensure you will be able to maintain your permits, you need to properly maintain your solar energy system. A performance monitoring system will alert you of any red flags when it comes to your system’s performance. Typically, these systems are enough to make sure your system is properly working without frequent inspections. In addition to a performance monitoring system, we recommend regularly cleaning your system since debris, dirt, and dust can negatively impact the efficiency of your solar panels. In general, a yearly cleaning and careful inspection of your home solar energy system will be adequate for maintaining the performance of your panels.